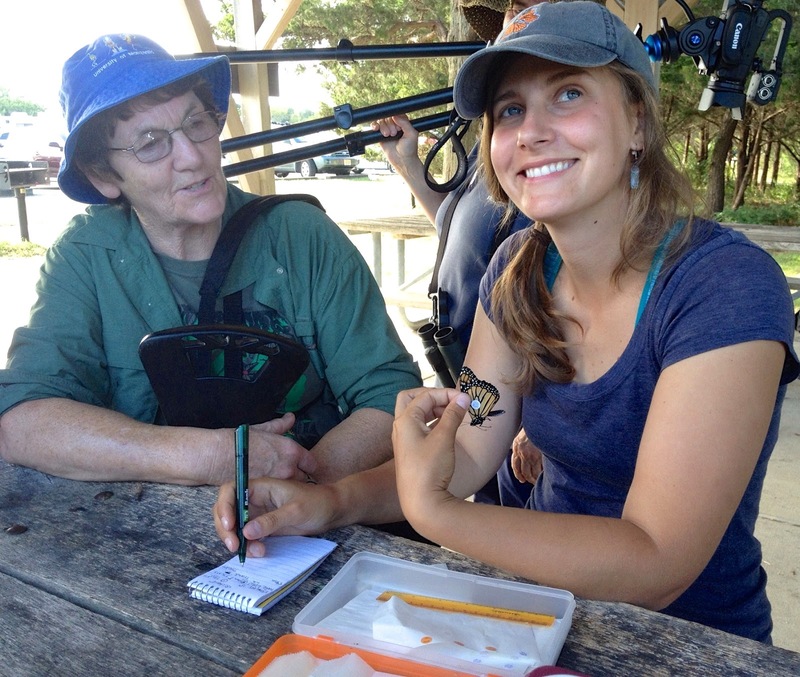 Cape May Monarch Monitoring Project: Unexpected bonus day! With tiny shreds of sunlight making it through the clouds and weak winds, I had low hopes for the day. Much to my surprise, we had a great count for Monarchs. When I was looking at the butterfly bushes in the Pavillion Circle I could count up to 25 Monarchs nectaring at a time! Side-by-side there are some other beautiful butterflies at those bushes which you may want to try your hand at identifying (seen below). Many visitors crowded around to share the beautiful sight, and had their emerging Monarch biology questions answered. It's funny how such a wondrous event can really pique people's interest in a topic that otherwise would slip past the radar of most people's everyday thoughts. Suddenly biology, physiology, and genetics become accessible, even intriguing, for people. I am so happy to share my interests with all of you! 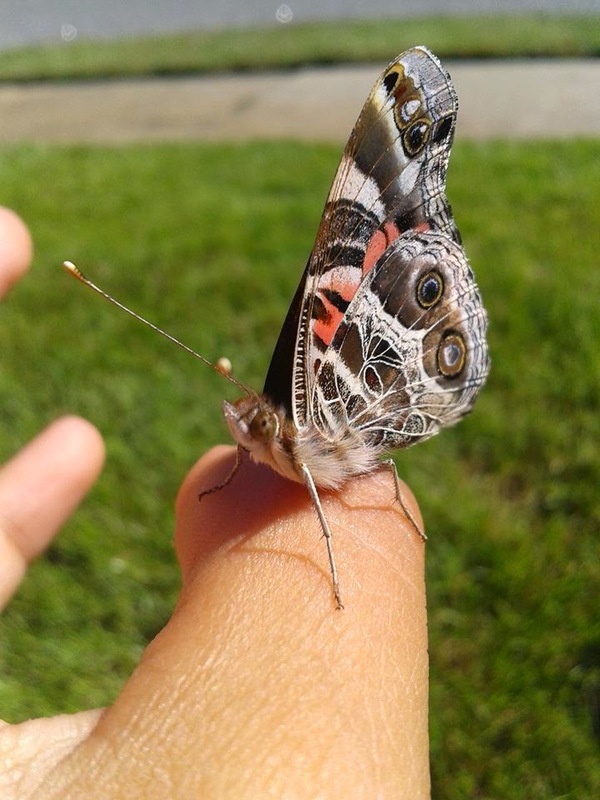 American Lady, notice the two eyespots on the hind wing. You can tell it apart from the Painted lady which would have 4 eyespots. 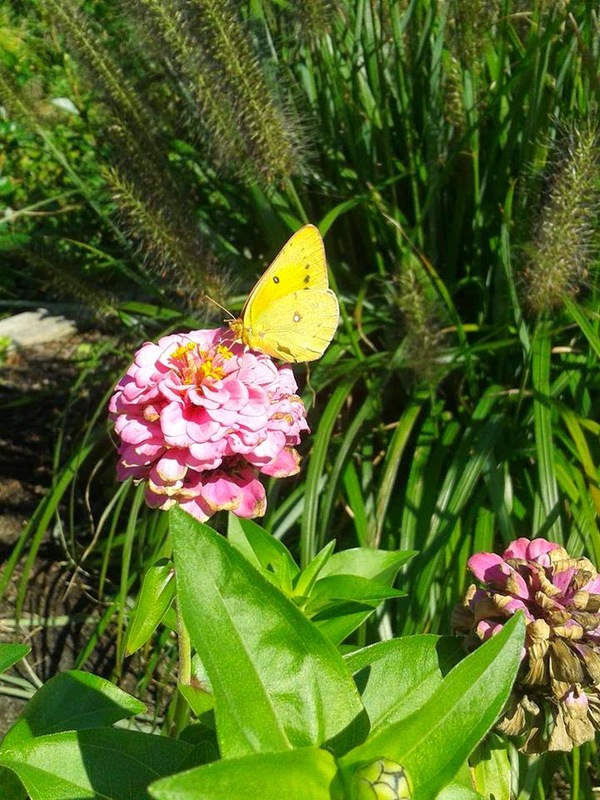 Orange sulfur, a large and vibrant yellow butterfly. the team as they tag monarchs around Cape May Point. 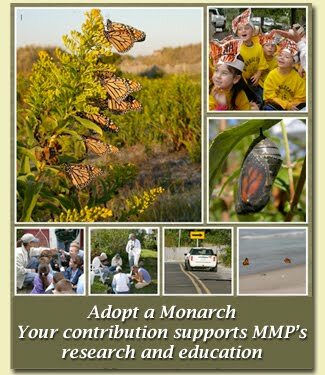 Endangered Species Protection for Monarchs?